The Editorial Board includes an editor-in-chief and editorial board that represents, when complete, all major subject areas in computer science and engineering. Currently the group consists of the members below. Click on each Board Member&apos;s name to view his or her biography. 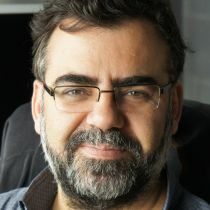 M. Tamer Özsu is Professor of Computer Science at the David R. Cheriton School of Computer Science of the University of Waterloo. He was the Director of the Cheriton School from January 2007 to June 2010. Previously he was with the Department of Computing Science of the University of Alberta (1984 - 2000). His PhD is from the Ohio State University. His research is on data management following two threads: large-scale data distribution, and management of non-traditional data (i.e., non-relational data). Currently, his research focus is on graph data and RDF data. Previously his research focus was on object systems, image, video, XML data, and their management in a distributed environment. He is the co-author (with Patrick Valduriez) of the classical book Principles of Distributed Database Systems, which is now in its third edition. He has also edited, with Ling Liu, the Encyclopedia of Database Systems. 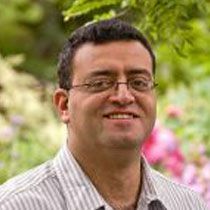 Tamer is a Fellow of the Association for Computing Machinery (ACM), and of the Institute of Electrical and Electronics Engineers (IEEE), and a member of Sigma Xi. He currently holds a Cheriton Faculty Fellowhsip. He has been an ACM Distinguished Lecturer since 2007. He has held a University Research Chair (2004-2011) and a Faculty Research Fellowship (2000 - 2003) at the University of Waterloo, and a McCalla Research Professorship (1993-1994) at the University of Alberta. He was awarded the ACM SIGMOD Contributions Award in 2006, and The Ohio State University College of Engineering Distinguished Alumnus Award in 2008. He serves on the Association for Computing Machinery’s (ACM) Publications Board as Vice Chair for New Publications. Previously, he was the Chair of ACM Special Interest Group on Management of Data (SIGMOD; 2001-2005) and a trustee of the VLDB Endowment (1996-2002). 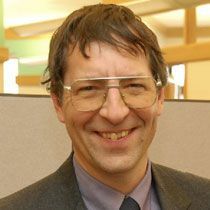 He is the Series Editor of Synthesis Lectures on Data Management (Morgan & Claypool) and is on the editorial boards of three journals, and a book Series. 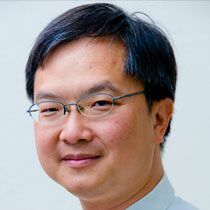 He also serves on a number of boards including the International Advisory Board of National Institute of Informatics (NII) of Japan, Advisory Committee of School of Engineering of Hong Kong University of Science and Technology, and Advisory Committee of the Department of Computer Science and Engineering of Hong Kong University of Science and Technology. He has served as the Program Chair and General Chair of a number of international conferences including SIGMOD, VLDB, and ICDE. Bashar Nuseibeh is professor of computing at The Open University, UK, where he served as Director of Research in Computing (2002-2008), and a professor of software engineering at Lero - The Irish Software Engineering Research Centre, where he served as its Chief Scientist (2009-2012). He is also a visiting professor at Imperial College London and the National Institute of Informatics, Japan. His research interests in software engineering include the relationship between requirements and design, security and privacy, and technology transfer. He holds a European Research Council Advanced Grant (2012-2017) and a Royal Society-Wolfson Merit Award (2013-2018), both focusing on "Adaptive Security and Privacy". 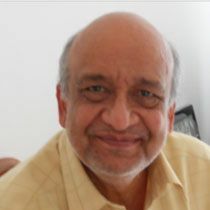 His past research has been recognised through various awards including a Philip Leverhume Prize (2002), an ICSE Most Influential Paper (2003), a Senior Research Fellowship of the Royal Academy of Engineering (2005), an Automated Software Engineering Fellowship (2007), a Microsoft Research Award (2011), and a collection of "best" papers, posters, videos and software tools. Professionally he has served as Chair of the steering committee of the ACM/IEEE International Conference on Software Engineering, Chair of IFIP Working Group 2.9 (on requirements engineering), and is currently Editor-in-Chief of IEEE Transactions on Software Engineering and Editor Emeritus of the Automated Software Engineering Journal. Shih-Fu Chang is the Richard Dicker Professor and Director of the Digital Video and Multimedia Lab at Columbia University. 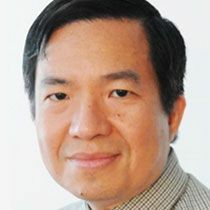 He is an active researcher leading development of innovative technologies for multimedia information extraction and retrieval, while contributing to fundamental advances of machine learning, computer vision, and signal processing. Recognized by paper awards and citation impacts, his scholarly work set trends in several important areas, such as content-based visual search, compressed-domain video manipulation, image authentication, large-scale high-dimensional data indexing, and semantic video search. He co-led the ADVENT university-industry research consortium with participation of more than 25 industry sponsors. He has received ACM SIG Multimedia Technical Achievement Award, IEEE Signal Processing Society Technical Achievement Award, IEEE Kiyo Tomiyasu Award, Service Recognition Awards from IEEE and ACM, and the Great Teacher Award from the Society of Columbia Graduates. He serves as the Chair of ACM Special Interest Group in Multimedia (SIGMM, 2013-date), Senior Vice Dean of Columbia Engineering School (2012-date), Editor-in-Chief of the IEEE Signal Processing Magazine (2006-8), Chairman of Columbia Electrical Engineering Department (2007-2010), and advisor for several companies and research institutes. His research has been broadly supported by government agencies as well as many industry sponsors. He is a Fellow of IEEE and the American Association for the Advancement of Science. Ramesh Jain is an entrepreneur, researcher, and educator. He is currently a Donald Bren Professor in Information & Computer Sciences at University of California, Irvine where he is doing research in Event Web and experiential computing. Earlier he served on faculty of Georgia Tech, University of California at San Diego, The university of Michigan, Ann Arbor, Wayne State University, and Indian Institute of Technology, Kharagpur. He is a Fellow of ACM, IEEE, AAAI, IAPR, and SPIE. His current research interests are in processing massive number of geo-spatial heterogeneous data streams for building Smart Social System. He is the recipient of several awards including the ACM SIGMM Technical Achievement Award 2010. Ramesh co-founded several companies, managed them in initial stages, and then turned them over to professional management. These companies include PRAJA, Virage, and ImageWare. Currently he is involved in Stikco Studio. He has also been advisor to several other companies including some of the largest companies in media and search space. Michel Beaudouin-Lafon is Professor of Computer Science at Université Paris-Sud (France) and a senior member of Institut Universitaire de France. He was director of LRI, the laboratory for computer science at Université Paris-Sud (280 faculty, staff, and PhD students) for eight years, then spent two years as visiting professor at Stanford University. 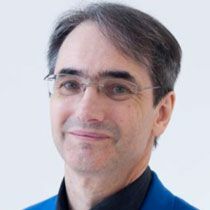 Michel has worked in human-computer interaction (HCI) for over 20 years and was elected to the ACM SIGCHI Academy in 2006. 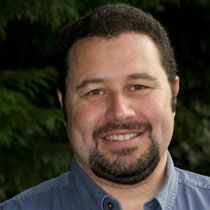 His research interests include fundamental aspects of interaction, engineering of interactive systems, computer-supported cooperative work and novel interaction techniques. He works in the In Situ group, a joint lab between LRI and INRIA (http://insitu.lri.fr), and is directing the 22M€ Digiscope project. Michel has advised twenty Ph.D. students, sits on several journal editorial boards and on many program committees. He was the technical co-chair for the ACM CHI 2013 conference in Paris. He founded AFIHM, the Francophone association for human-computer interaction. He is a member of the ACM Europe Council and was a member of the ACM Council and the ACM Publications Board. Thomas J. Misa directs the Charles Babbage Institute at the University of Minnesota, where he is a faculty member in the Department of Electrical and Computer Engineering and in the Program for the History of Science, Technology, and Medicine. His recent books include _Gender Codes: Why Women Are Leaving Computing_ (Wiley 2010) and _Digital State: The Story of Minnesota's Computing Industry_ (Minnesota 2013). 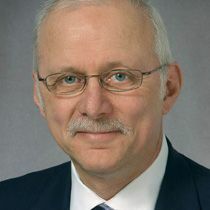 Gerhard Weikum is a Scientific Director at the Max Planck Institute for Informatics in Saarbruecken, Germany, and also an Adjunct Professor at Saarland University. He graduated from the University of Darmstadt, Germany. Weikum's research spans transactional and distributed systems, self-tuning database systems, DB&IR integration, and automatic knowledge harvesting from Web and text sources. He co-authored a comprehensive textbook on transactional systems, received the VLDB Test-of-Time Award for his work on automatic DB tuning, and is one of the creators of the YAGO knowledge base. Weikum is an ACM Fellow, a Fellow of the German Computer Society, and a member of the German Academy of Science and Engineering and the Academia Europaea. He has served on various editorial boards, including ACM TODS, ACM TWEB, and Communications of the ACM, and as program committee chair of conferences like ACM SIGMOD, Data Engineering, and CIDR. From 2003 through 2009 he was president of the VLDB Endowment. He currently serves on Germany's Council of Science and Humanities. 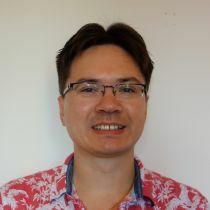 Weikum received a Google Focused Research Award in 2010, and is the recipient of the ACM SIGMOD Contributions Award 2011. Limsoon Wong is KITHCT Professor of Computer Science and Professor of Pathology at the National University of Singapore. He currently works mainly on knowledge discovery technologies their application to biomedicine. He serves/served on the editorial boards of Information Systems, Journal of Bioinformatics and Computational Biology, Bioinformatics, Biology Direct, IEEE/ACM Transactions on Computational Biology and Bioinformatics, Drug Discovery Today, Journal of Biomedical Semantics, and Methods. He received his BSc(Eng) in 1988 from Imperial College London and his PhD in 1994 from University of Pennsylvania. Ricardo Baeza-Yates areas of expertise are web search and data mining, information retrieval, data science and algorithms. He is CTO of NTENT, a semantic search technology company based in California, USA. Before he was VP of Research at Yahoo Labs, based in Barcelona, Spain, and later in Sunnyvale, California, from January 2006 to February 2016. He also is part time Professor at DTIC of the Universitat Pompeu Fabra, in Barcelona, Spain, as well as at DCC of Universidad de Chile in Santiago. Until 2004 he was Professor and founding director of the Center for Web Research at the later place. He obtained a Ph.D. in CS from the University of Waterloo, Canada, in 1989. He is co-author of the best-seller Modern Information Retrieval textbook published by Addison-Wesley in 2011 (2nd ed), that won the ASIST 2012 Book of the Year award. From 2002 to 2004 he was elected to the board of governors of the IEEE Computer Society and in 2012 he was elected for the ACM Council. Since 2010 is a founding member of the Chilean Academy of Engineering. In 2009 he was named ACM Fellow and in 2011 IEEE Fellow, among other awards and distinctions. John C. Hart is a Professor in the Department of Computer Science at the University of Illinois, Urbana-Champaign where he studies computer graphics and computational topology. His research in computer graphics has been supported by Adobe, DARPA, Intel, Microsoft, NSF, Nokia and NVidia. He is a past Editor-in-Chief of ACM Transactions on Graphics, a co-author of "Real-Time Shading" and a contributing author for "Texturing and Modeling: A Procedural Approach." He served from 1994-9 on the ACM SIGGRAPH Executive Committee, and is an Executive Producer of its documentary "The Story of Computer Graphics." John received his B.S. from Aurora University in 1987, and an M.S. (1989) and Ph.D. (1991) from the Electronic Visualization Laboratory at the University of Illinois at Chicago. Divyakant Agrawal is a Professor of Computer Science and the Director of Engineering Computing Infrastructure at the University of California at Santa Barbara. His research expertise is in the areas of database systems, distributed computing, data warehousing, and large-scale information systems. From January 2006 through December 2007, Divyakant served as VP of Data Solutions and Advertising Systems at the Internet Search Company ASK.com. He has also served as a Visiting Senior Research Scientist at the NEC Laboratories of America in Cupertino, CA from 1997 to 2009. He has also had visiting appointments at the School of Computing, National University of Singapore, as the William Mong Fellow at the Hong Kong University, and at IBM Almaden Research Center. During 2013-14, he will be spending his sabbatical leave as a Visiting Scientist at Google Inc. in Mountain View, California. 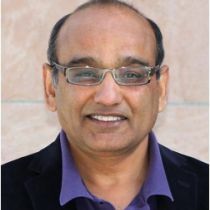 During his professional career, Divyakant has served on numerous Program Committees of International Conferences, Symposia, and Workshops and served as an editor of the journal of Distributed and Parallel Databases (1993-2008), and the VLDB journal (2003-2008). 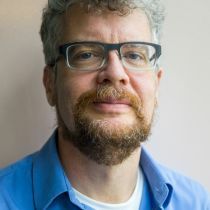 He currently serves as the Editor-in-Chief of Distributed and Parallel Databases and is on the editorial boards of the ACM Transactions on Database Systems, ACM Transactions on Spatial Algorithms and Systems, and IEEE Transactions of Knowledge and Data Engineering. He has recently been elected to the Board of Trustees of the VLDB Endowment and elected to serve on the Executive Committee of ACM Special Interest Group SIGSPATIAL. His research philosophy is to develop data management solutions that are theoretically sound and are relevant in practice. He has published more than 350 research manuscripts in prestigious forums (journals, conferences, symposia, and workshops) on wide range of topics related to data management and distributed systems and has advised more than 35 Doctoral students during his academic career. He received the 2011 Outstanding Graduate Mentor Award from the Academic Senate at UC Santa Barbara. Divyakant has been recognized as an Association of Computing Machinery (ACM) Distinguished Scientist in 2010 and was inducted as an ACM Fellow in 2012. He has also been inducted as a Fellow of IEEE in 2012. His current interests are in the area of scalable data management and data analysis in Cloud Computing environments, security and privacy of data in the cloud, and scalable analytics over social networks data and social media. 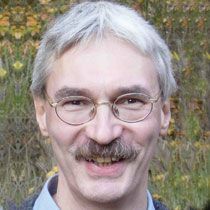 Bernhard Schölkopf is Director of Inference at the Max Planck Institute for Intelligent Systems in Tübingen, Germany heading the Department of Empirical Inference. His scientific interests are in the field of inference from empirical data and machine learning and perception (Department of Empirical Inference). In particular, he studies kernel methods for extracting regularities from high-dimensional data. These regularities are usually statistical ones and in recent years he has also become interested in methods for finding causal regularities. Ahmad-Reza Sadeghi	is a full professor of Computer Science at Technische Universität Darmstadt, Germany. He is the head of the System Security Lab at the Center for Advanced Security Research Darmstadt (CASED), and the Director of the Intel Collaborative Research Institute for Secure Computing (ICRI-SC) at TU-Darmstadt. He holds a Ph.D. in Computer Science from the University of Saarland in Saarbrücken, Germany. Prior to academia, he worked in Research and Development of Telecommunications enterprises, amongst others Ericsson Telecommunications. He is on the Editorial Board of the ACM Transactions on Information and System Security. Currently his research focuses on mobile security and privacy, cyber physical systems security and hardware-based security. He has been awarded with the renowned German “Karl Heinz Beckurts” prize for his research on Trusted and Trustworthy Computing technology and its transfer to industrial practice. The award honors excellent scientific achievements with high impact on industrial innovations in Germany. Lawrence Rauchwerger is a Professor Computer Science at Texas A&M University and the co-Director of the Parasol Lab. He received an Engineer degree from the Polytechnic Institute Bucharest, a M.S. in Electrical Engineering from Stanford University and a Ph.D. in Computer Science from the University of Illinois at Urbana-Champaign. He has held Visiting Faculty positions at the University of Illinois, Bell Labs, IBM T.J. Watson, and INRIA, Paris. Rauchwerger's approach to auto-parallelization, thread-level speculation and parallel code development has influenced industrial products at corporations like IBM, Intel and Sun. Rauchwerger is an IEEE Fellow, an NSF CAREER award recipient and has chaired various IEEE and ACM conferences. 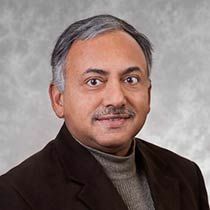 Dr. Agarwal earned his PhD in Computer Science from the Courant Institute of Mathematical Sciences at New York University.He joined Duke University in 1989 where he is now the RJR Nabisco Professor of Computer Science and a Professor of Mathematics. He was the Chair of the Department of Computer Science from 2004 to 2010.His research interests include geometric computing, geographic information systems, databases, sensor networks, computational molecular biology, and robotics.A Sloan Fellow, an ACM Fellow, and a National Young Investigator, Dr. Agarwal has authored four books and more than three hundred research articles. He serves on the editorial boards of a number of journals and on the advisory boards of several institutes and centers. 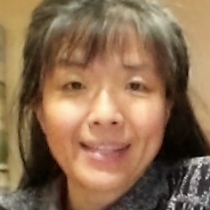 Y. Annie Liu is Professor of Computer Science at Stony Brook University. Her primary research is in languages and algorithms, especially on systematic methods for design and optimization. The methods are centered around incrementalization---the discrete counterpart of differentiation in calculus. Besides research and service, she also enjoys teaching. She has taught in a wide range of Computer Science areas, and presented over 100 conference and invited talks worldwide. She received her BS from Peking University, MEng from Tsinghua University, and PhD from Cornell University, all in Computer Science. Annie Liu's Design and Analysis Research Laboratory has projects in modeling and specification, analysis and verification, design and optimization, code generation, and testing. These projects are for optimizing compilers, interactive environments, real-time and embedded systems, database systems, semantic Web, distributed systems, big data analysis, security, and more. Her awards include a State University of New York Chancellor's Award for Excellence in Scholarship and Creative Activities. smartphones, online social networks and opportunistic networks. datasets and tools in use by over 9,000 users from 116 countries. For more information, see http://tnhh.org/ and http://tnhh.org/. Charles Clarke is a Professor in the School of Computer Science at the University of Waterloo, Canada.His research interests include information retrieval, web search, social media search, and text data mining.He has published on a wide range of topics, including papers related to question answering, XML, filesystem search, user interfaces, statistical natural language processing, and the evaluation of information retrieval systems.In addition, he has held a number of software development and consulting positions across industry. From 2013 to 2016 he was the Chair of ACM SIGIR. He is a co-author of the book Information Retrieval: Implementing and Evaluating Search Engines, MIT Press, 2010.